This time, we speak with Puchon Basoodeo, Executive Chef at Club Med Bali. Puchon talked to us about his travels as a chef, his sustainable efforts, and what he’s learned along the way after reducing food waste with Winnow. How did you arrive at Club Med Bali and where were you working before? 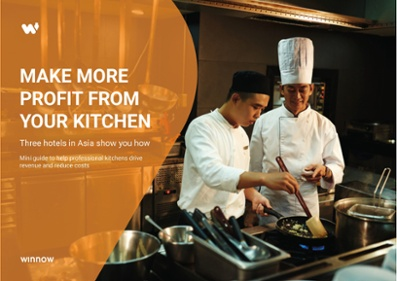 Right before joining the team at Club Med Bali, I was heading the kitchen at Club Med Guilin in China. Just like many other professionals working in hospitality, I enjoy travelling and living in different countries. I’ve been travelling for 30 years. From Mauritius to France, and then Senegal, Malaysia, China and now Indonesia. I have always been inspired by the opportunities that come with cooking, such as traveling and experiencing different countries. I feel very lucky to be able to experience so many cultures while doing what I love: cooking. I first started my training by cooking in local restaurants when I was still living in my native country, Mauritius. As soon as I joined the Club Med, more than 20 years ago, I had the opportunity to continue my training and progressively improve my knowledge to become an Executive Chef. All in all, Club Med has been responsible for my training. I am very honored to be part of this team. Convincing my team to embrace changes was the main challenge I faced when we started studying ways to reduce our food waste. Most of my staff have been doing the same things for many years. It’s always challenging to implement new processes, but with the right training and regular meetings, we managed to get their support. Now, our staff fully understand the main principles of reducing food waste and they are part of our outstanding result. The daily report that is shared with them really inspire them to be even more dedicated to the project. I can say that our team is fully integrated with winnow protocol, and acting as leaders within the process. 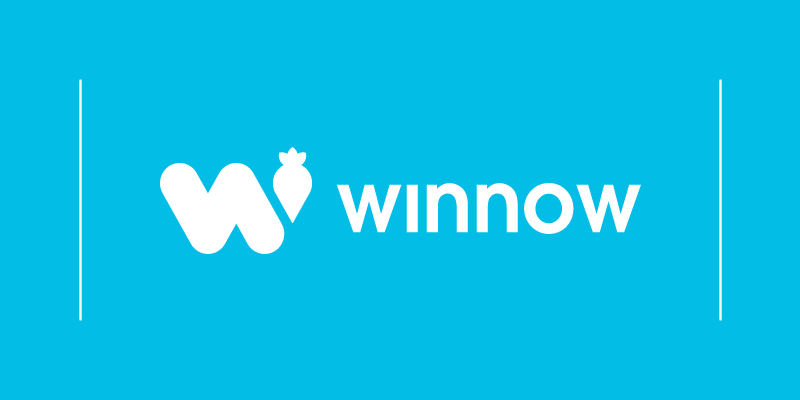 With the help of the Winnow systems, we have been able to improve our food offer. With our savings from reducing food waste, we have been investing in higher quality food and more sophisticated ingredients. We always attempt to deliver an unforgettable experience to all our guests. The insights from the reports have allowed us to learn more about our guests' food preferences. One thing we noticed is that, guests preferences tend to change according to the country that they come from. Based on this information, we check the daily bookings, estimate how many guests will dine and manage our production level accordingly. Thanks to the Winnow reports we have been able to avoid overproduction in all our buffet stations. Now, our guests are more aware of sustainability and health issues, and they want to know exactly what they are eating. Technology can already help us trace our products and keep our guests informed. I positively see this trend growing in a global way. I believe that conscious consumers give more value to the food, to the chefs who cooked the food, and to the farmers who grew them. To keep track of the new industry trends I like joining chefs forums and learning what other colleagues are doing. Also, we have an internal social media channel where we share news and best practices. It’s a great source of knowledge and inspiration. In the future, I see my kitchen becoming even more sustainable. Club Med is strongly oriented towards developing sustainable practices. At Club Med Bali, for example, we are a Green Globe certified, which means that we give preference to sustainable practices, such as purchasing local and fair-trade certified products. At the moment, we purchase fruits and vegetables from local farmers who are supported by the NGO Agrisud. They teach eco-friendly agricultural methods. We are very proud to showcase this partnership to our guests. They appreciate the fact that we are doing something good to the environment and to local communities while offering them fresher and better-quality food. For chefs who want to cut their food waste, I would advise to invest in technology to help with their quest. And, at the same time, chefs should maintain a good relationship with their teams in order to get their support more easily. Any investment and effort put into reducing food waste are worth it. Food waste is against our culture as chefs. I really admire Anthony Bourdain. He was a remarkable chef who lived life to the fullest, traveling around the world to discover new flavors. I’ve been focusing on different ways to use star anise. It’s such a versatile seasoning, I can use in both savory and sweet dishes. This is a difficult question, but I can say that Mongolian barbecue is one of my favorite dishes. Japan is my favorite place to eat out in the world. I had the pleasure to live in Japan and work with Japanese chefs. Since then, I have admired their respect for tradition, their dedication to deliver the best possible food.